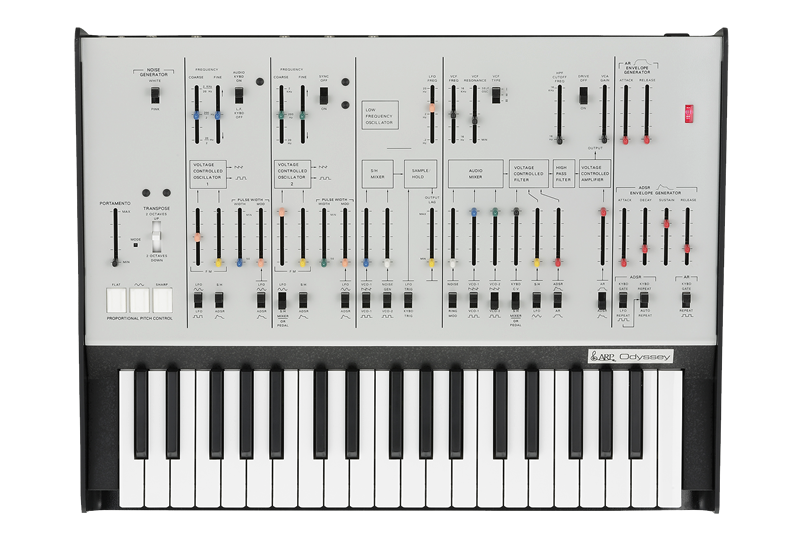 KORG, having resurrected their own MS-20 monosynth, have now turned to another analog classic: the duophonic ARP Odyssey. We’ve known for some time that they would begin manufacturing a new edition of that in collaboration with its original creators. Now we know what it looks like, and what it’ll cost. 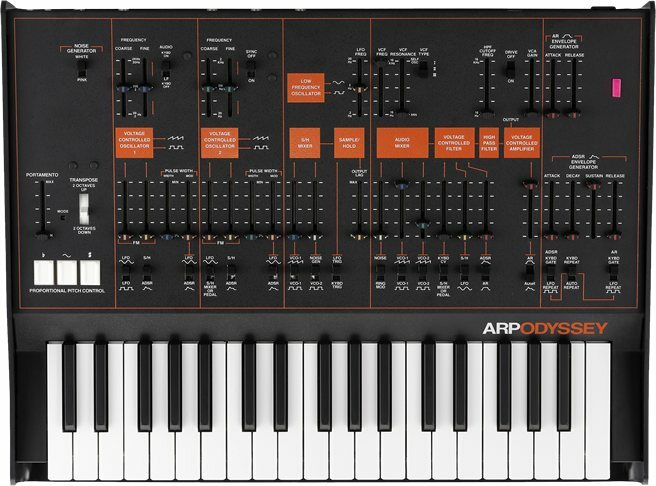 If you already love the classic ARP Odyssey, there’s not much to say. KORG’s launch, in fact, focused on the ARP you know – the fact that its sound is something you recognize from songs. That’s partly an explanation of why such instruments deserve recreation. And the original holds up today. It’s a beautifully playable synth with great character, plus terrific envelope controls, a one-of-a-kind, accessible front panel layout that makes everything clear, and nice extras like the Ring Mod and Sample & Hold. It doesn’t have the modular features and some of the more unusual sound possibilities of the monophonic MS-20, but it’s a great keyboardists’ instrument. And recreation, this is. 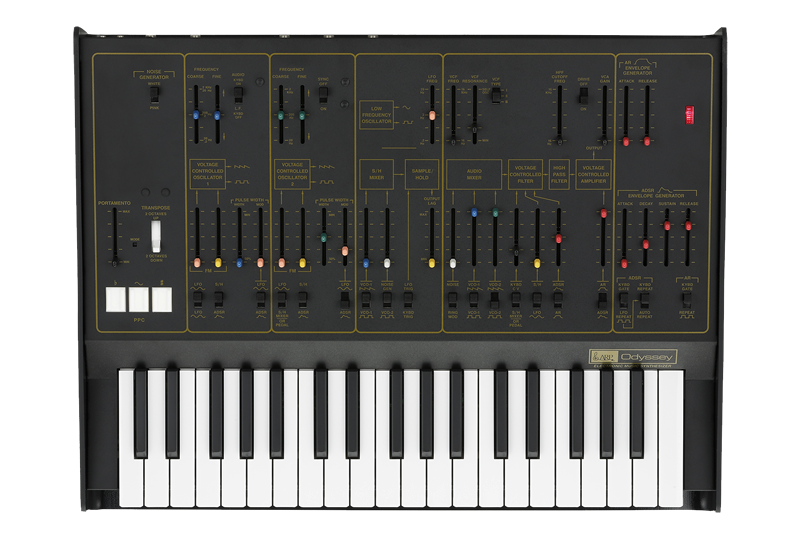 ARP co-founder David Friend oversaw this effort, so you can count on a certain amount of authenticity – and, as with the MS-20, they didn’t change the circuitry so much as put it back in production. They might not be as obsessive-compulsive as our friends at Moog – we don’t get any mention of hand-stuffing wires – but the sound should be well within the normal degrees of variation on these instruments. The architecture and the circuits themselves are electrically the same, only built via modern parts and methods. Price: US$1400 suggested list. Street price appears to be about a grand (US$999 – obviously expect it to cost more via the weaker Yen, Euro, and Pound Sterling, plus more tax). 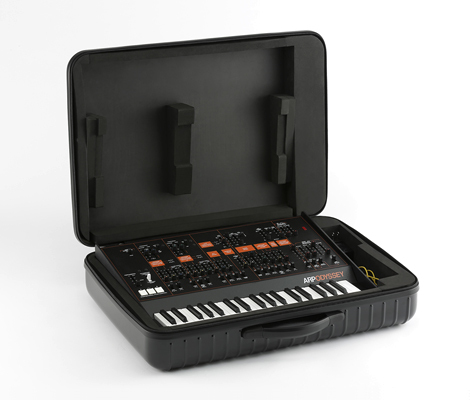 That puts the price above the mass-market focused MS-20 mini, but it also includes its own case – and it’s a duophonic synth. Availability: KORG isn’t saying yet. But beyond that, what we want to know is what differs between this ARP Odyssey – erm, KORG Odyssey? – and a used instrument? Now we know that, too. You get a portamento choice. Original revision and later revision behaviors are included. You get all the Control Voltage connectivity. CV in/out, gate in/out, and trigger in/out are included. It does MIDI. You get MIDI in, plus USB for MIDI in from a computer. Now, here’s a gripe: On an instrument this large and representing some investment, it seems a MIDI out port would be welcome, even if just for operation as Thru. But, anyway, you don’t get one. It’s not mini, but it is leaner. Let’s say “swimsuit season ready” rather than “mini-sized.” KORG has trimmed down the case – no need for the extra room required by the original. This model is 86% of the size of the first. These aren’t tiny keys, but they are what Korg describe as “slim” – reduced in size from the original. You do well on weight, too – 5 kg / 11.02 lbs. 1. Transposing the whole keybed: 2 octaves down, normal, 2 octave up. 2. Proportional pitch: the pitch pad pitches down or up about -2/3 octaves. There’s a Drive switch. This one’s interesting – a 2015 addition. Flip a switch, and you get some sort of analog overdrive distortion. We’ll have to hear what it sounds like, but it proves that Korg are willing to try new ideas. Contrast that with the religious fundamentalists over at Moog and their literalism with the modular recreations. Also, if you don’t like the black-and-orange paint job – though I must admit, it’s my favorite – the other two liveries are being made available as limited editions with launch. By the way, a couple of final touches. If you’re wondering about the price, KORG has really done something nice here. They’ve included all the patch cables, and even thrown in a nice hard case that looks really road ready – the idea being you’ll gig with this thing. That’s a major advantage over the MS-20, which even in the mini version has an odd shape that’s hard to haul around. All in all, this looks like a real success. If you’ve a grand burning a hole in your pocket, this isn’t the only option. Suitcase modular rigs are very doable for that price, and offer arguably more sound options. (Doepfer just came out with a starter case I’ll be writing up soon, for instance.) Tom Oberheim has his SEM. There’s Dave Smith. Moog have its keyboards, a number of which are at or below this price. And there’s Korg’s own MS-20 and much more inexpensive MS-20 mini, which certainly deserve comparison. But I suspect most of the ARP’s initial buyers will be the folks already waiting on one. And, hey, you’re in good company – Herbie Hancock looks happy. Akai Analog Drum Machine, Revision 2 – And a Four-Voice Wolf Synth?